Travelling is fun, but the hand luggage tend to be heavy even though one thinks that he/she only packed personal belongings. For this reason, wrapping containers for travel bags can never be too light, and especially when travelling in airplanes, light and airtight bags are ideal. 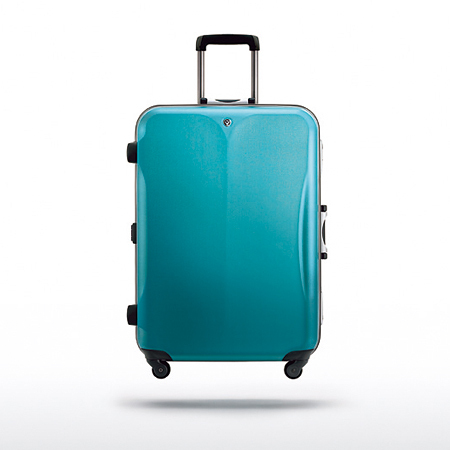 A product that meets these users' requirement is a hard luggage "Proteca Equinox light", which successfully cut more weight off after detailed examination of every single part from the design phase. The "honest attitude towards production" that the long-established store of this field takes pride in can be felt from every corner of this product, and it goes without saying that it passed a cruel quality test. From the design point of view, the functionalism and the artisan point of view is crossed and is finished impeccably. 7 different sizes are available, and the richness of color variation, including silver and gold, meets the taste of users. A fun travel guaranteed by a "good construction"; to have a better travel experience, superior tools are a must-have.